Finally, I am able to start our new house “tour, via the blog. It seems like it has taken forever and ever for our stuff to arrive, and then unpacking , plus waiting for the remainder of our new furniture. It finally feels like home, and I can start to share some of it with you. 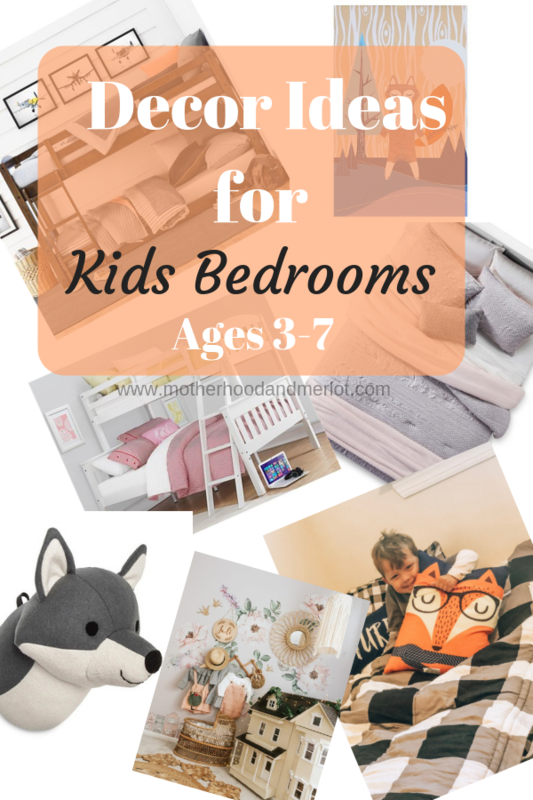 For starters, I am going to be sharing some decor ideas for kid bedrooms. We redid the decor in both our kid’s rooms, the twins and our older girls. *Furniture and decor items in this post were sent to me complimentary for my honest review. All thoughts and opinions on the items are my own. The twins’ room was the one that got the largest revamp. Almost nothing in their room is the same as it was back in Arizona. Since they are boy-girl twins, I wanted to make it gender neutral, with some personal touches that were unique to each of them. We went with an “adventure/outdoor” theme in their room, and I love how it turned out! The wall decor items are from Target, and I will link them below. They have a ton of decor items in this theme (especially fox/outdoor items), so it was a great find there. 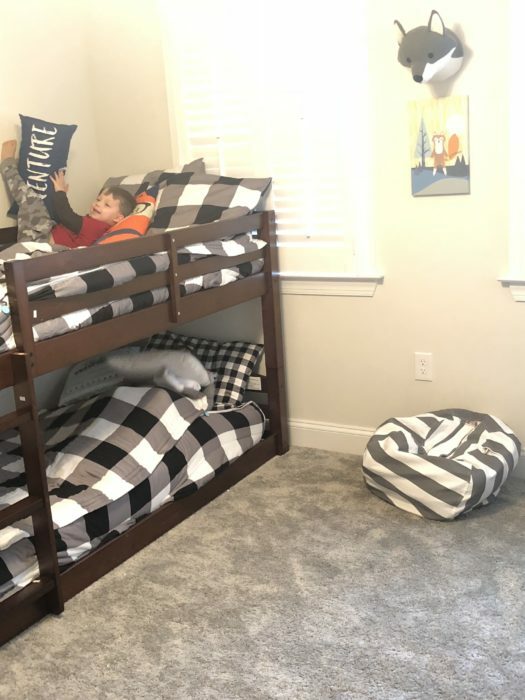 All of the furniture for their room was provided by Dorel Living. I love the set that we picked out. 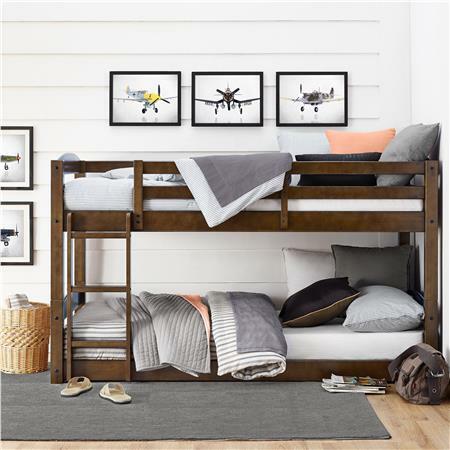 The beds can actually be stacked as a bunk bed, or separated. Stacked, they are low enough to where I don’t need to worry about the fan, or them falling out from a high bunk. the ladder is only three steps. It is a great transitional bed for toddlers and young kids. You can purchase the bed for yourself, below. 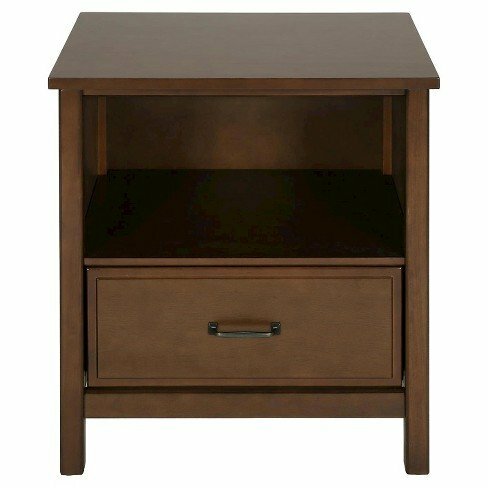 The link for the nightstands can be found here (available on Target and Amazon). Their bedding is awesome, and it was sent over from Beddy’s Beds. They are actually an entire set (sheet, comforter, and blanket) in one! It slides over the top of the mattress and zips up on either side. 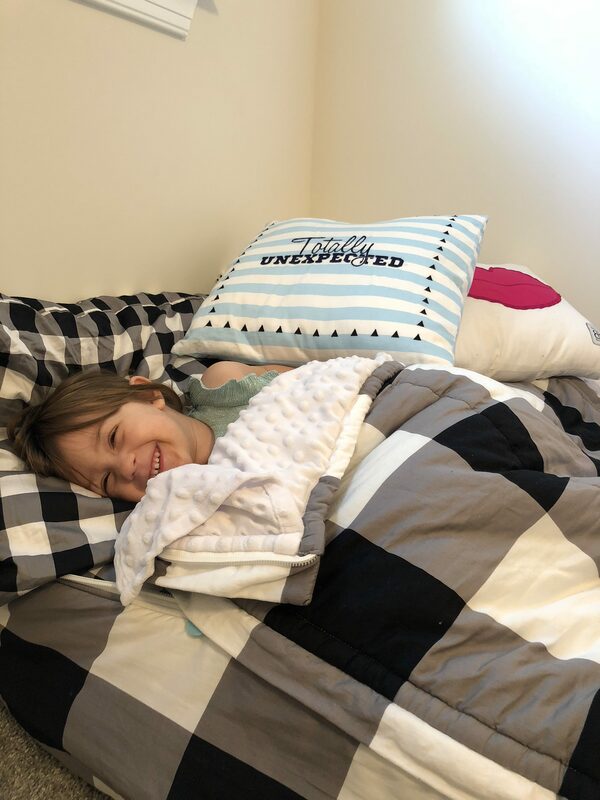 It is so easy for my 3YO twins to make their bed, and I just love the print in “Checked Out”. Plus, we got this pillow set, which again, fits in with the adventure theme! Our girls are (almost) 7 and (almost) 5, so we wanted the room to be a little bit older, and very girly. We went with a whimsical/fairytale vibe and I am OBSESSED with how it turned out. 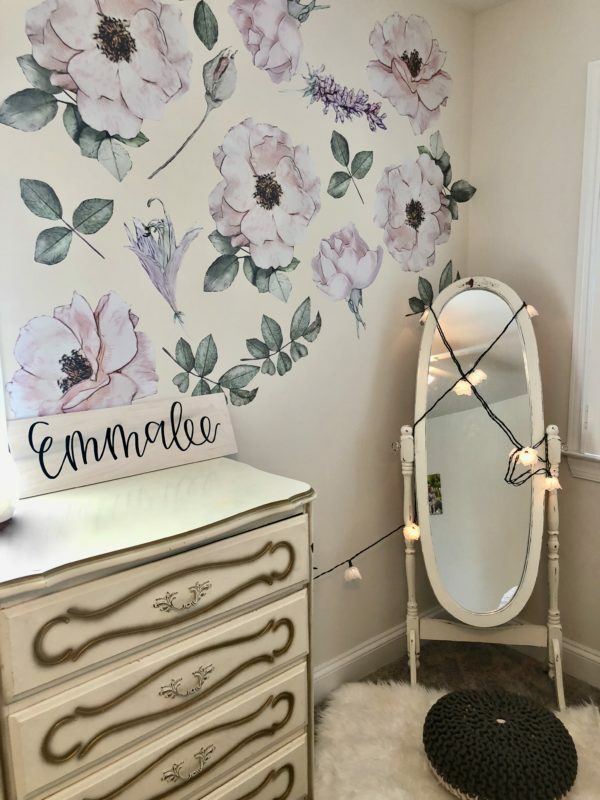 The wall decals are from Minnie and Me Interiors, and they are beautiful. They are so easy to apply or remove, and they can be used over and over again. I think they add such an elegant touch to the room also. 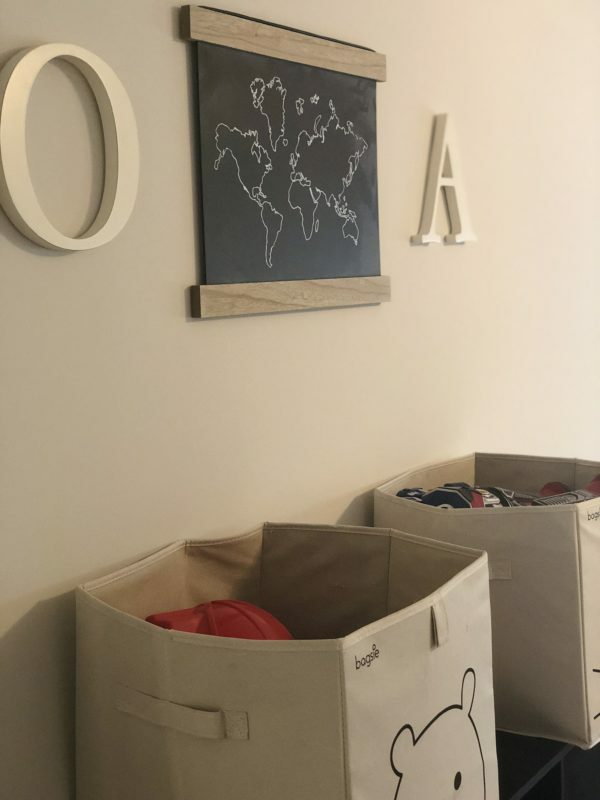 The wooden signs are custom, and handmade from Goldie Letter Co. She does a ton of handmade work, and they are so perfect for the design of this room! The desk and dresser are vintage from their great-grandma, which is so special for them. Their bedding is also from Target, and I love the vintage vibes and soft colors of it. 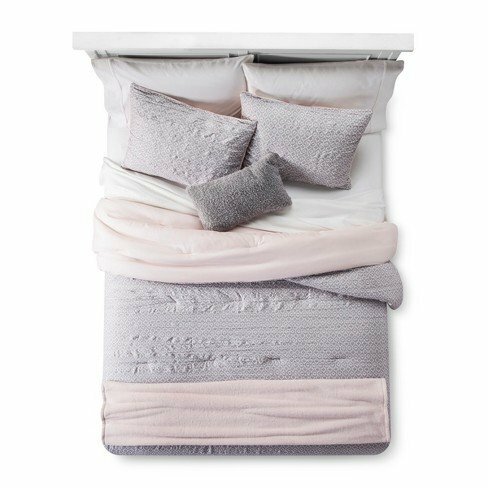 Their Blush Geo Lattice comforters are from Target (of course) and they are such pretty, pastel and gray colors. I love the combo and the print. For our girls room, we really wanted a white bunk bed, and this set is perfect! 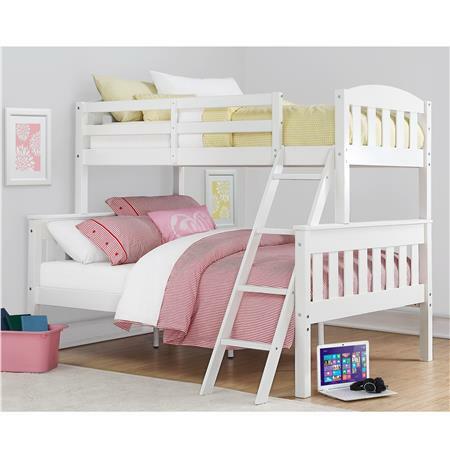 Dorel Living Airlie Twin over Full Bunk Bed, White. We gave our oldest daughter a bigger bed, and kept the smaller bunk on the top. Again, so easy to put together and it seems very sturdy. If you are looking for quality furniture at a great price, I highly suggest checking out Dorel Living where I got the furniture for these rooms. I love decorating! I’m currently trying to figure out a theme for my son’s room. All of your rooms look like they’re out of a magazine! I love them. 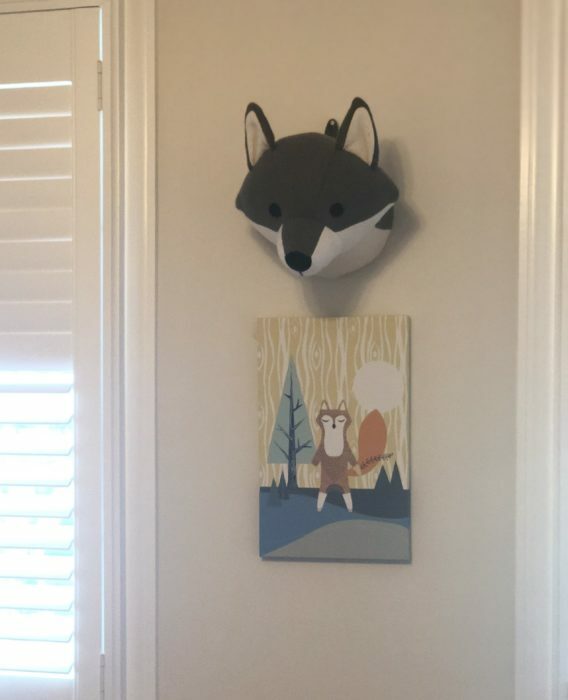 I love that stuffed fox head wall decor! We are doing my son’s nursery in woodland theme and I need to get it finished asap. 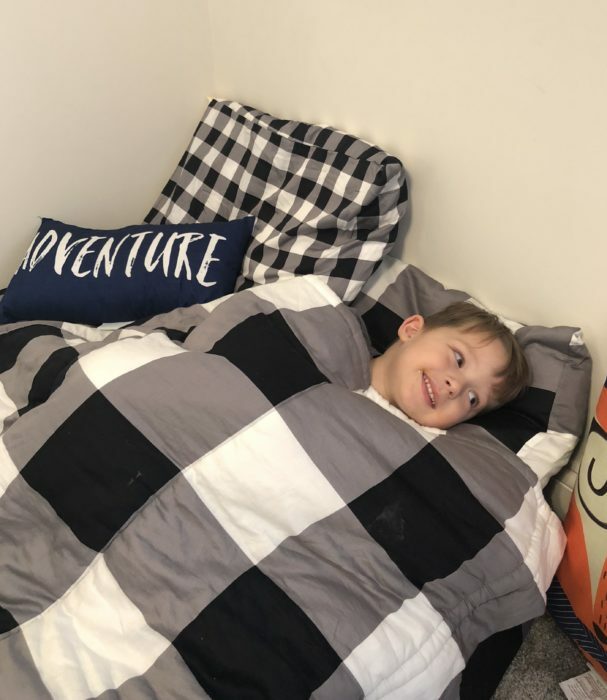 He’s been sleeping in our room for the past 11 weeks and it’s getting close to transitioning him to his room *insert all the tears*. So cute! I love the girl’s room. And I like how you make it look so neat. By the way, that wall decal makes the room look elegant.